Out of a spate of newly released English-language films seen so far this year (Les Misérables, Lincoln,Quartet, Zero Dark Thirty and Hitchcock) – none of them without some critical mass – it is my intention to comment in depth only on the latter, seen on February 12 in Eclipse Cinemas Downpatrick. Hitchcock (dir. S. Gervasi) is certainly not a biographical drama of the English-born director (any more than Spielberg’s film is a biography of Lincoln). And this is both speculative and misleading. A subtitle somewhere obfuscates this by claiming that it deals with the mounting pressure around the 1959/60 ‘making of Psycho,’ a film which Hitchcock had to fund out of his own resources, with massive, long-suffering support from his wife Alma Reville. Reville was married to him for 54 years, and worked closely as his scriptwriter, and continuity and editing consultant, particularly in the early years of their careers in England. Now that’s a little closer to what this film really set out to do, but it still remains a travesty, a shabby fiction. The Hitchcocks’ only child, Pat, in her early thirties with three young daughters during the shooting ofPsycho (and playing the small part of Caroline), isn’t afforded a single mention in Gervasi’s film. And this director, or rather his producers, evidently couldn’t get the necessary permissions to use a single shot from the original film. So why make this film at all? I first saw Psycho within two years of its release, and have used it many times in my teaching of Film Studies over several years. It was then and is to this day an unashamed confidence trick, dripping with black humour from start to finish. So much that is plain daft has been written and said about this film in the last 53 years and this newHitchcock film only adds to that. 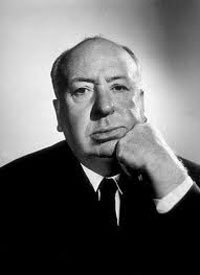 Alfred Hitchcock understood better than most film story-tellers the emotional and sensory impact on us of great cinema and how he could manipulate our responses to that. Earlier in Hollywood history, Chaplin, another Londoner, knew that too. They both adjusted our normal expectations as observer-consumers of the light in the dark and changed the way in which we watch and respond to great films as great stories well told. Psycho, for all its strengths and weaknesses (and it looks very dated today), exemplifies that, but it need no longer be taken seriously. Hitchcock’s approach and intentions in making this film can now be seen as trivial. I liked taking the audience through the haunted house at the fairground, he told François Truffaut during their celebrated tête-à-tête in 1967, thus to my mind dissociating himself from the seeming seriousness of the crime, the sexuality and the schizophrenia written into Robert Bloch’s ‘penny dreadful’ novel and Joseph Stefano’s smartly adapted screenplay for an admittedly iconic film. Psycho, David Thomson has written more recently, is just the cocky leer of evil genius flaunting tragic material but never being brave enough to explore it. 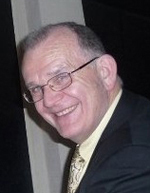 Gervasi’s film takes no interest whatsoever in addressing any of these enigmas. Instead he gets sidetracked into obscure references to Ed Gein, a self-confessed bodysnatcher and murderer of two women in Wisconsin in the 1950s, who may have been part inspiration for the character of Norman Bates in Psycho. There are further sidetracks, to Alma’s short-lived involvement with another scriptwriter, and some confusingly directed argy-bargy with studio executives, distributors and cast and crew involved in the making of Psycho. Anthony Hopkins, in blatant self-caricature, literally wades and waddles his way through this film. Only the ineffable Helen Mirren (as Alma) single-handedly tries to hold it all together – just. She probably won’t want to remember her efforts for long. four new and contrasting productions, by Opera North, in Belfast’s Grand Opera House, featuring pieces by Verdi, Mozart, Poulenc and Purcell. George Fleeton’s next music production is the Wildflowers – A Musical Evening in the St Patrick Centre, and details of this concert have been posted on Down News’ Entertainment column.